Azaleas and Camellias have very similar growing requirements and are the perfect companions in home gardens whether they are suburban, country, courtyards or simply pots on balconies. They are easily grown in pots as specimens, hedges, mass planted or grown as a standard. Azaleas & camellias grow best in acid soils – pH 5.5 – that have a high organic content and are fully at their best when planted into soil that has been enriched with organic matter so that the roots are able to move out freely and soil moisture is retained for longer periods. They will grow and bloom in open positions, providing watering is adequate. Semi-shade positions under high trees which provide protection from the hot midday sun will give better blooms, a prolonged flowering period and less fading or scorching of blooms. 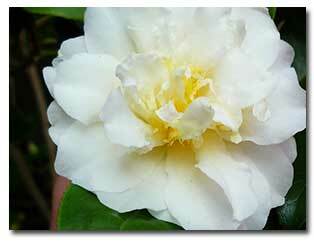 Improve soil with organic matter or special camellia mix. Ensure top of the potted plant’s soil is level with existing soil, if not the plant is too deeply planted and will need to be lifted out and more soil added to the base of the hole. You may wish to construct a small collar around the root ball so water is able to be held and allowed to soak in slowly during the plant’s settling in period. 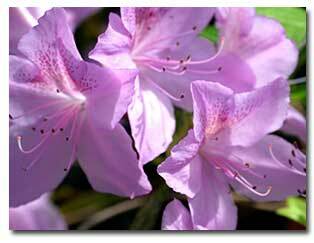 Azaleas suffer badly if left to dry out, particularly during the summer periods when temperatures are more extreme. Watering systems are a good investment as the micro-irrigation apply the water directly to the root area. Azaleas & camellias are light feeders and care should be taken not to over feed. A good schedule of feeding is three times a year. March, May & July with a fertilizer made specifically for acid loving plants. Try G&B Organics Azalea & Camellia Food. To encourage large blooms, feed from September through January with a high bloom formula such as Gro Power® Flower N’ Bloome 3-12-12. Pruning of azaleas & camellias is best done in October-November. Vigorous growers can be cut back quite heavily. Slow growing Azaleas should only require a light trimming or pruning back. Stray growth which pushes up through the main plant should be pruned back to 10cm below the plant’s canopy to promote shorter bushier shoots. Be sure you have a problem. Do not spray unnecessarily unless you are using a preventative. Read and follow the directions on the label. A small winged insect that is found on the underside of leaves during spring and summer. Damaged leaves appear silver on top and usually have a dark spotty underside. Control is necessary to ensure healthy plants. Invisible as the small insect tunnels through the leaf leaving a silvery trail before exiting. Bring in a sample and our staff will help you determine the problem and recommend a solution. Flowers tend to become brown and mushy and hang on the bush. Spraying must commence before the flowers open out for the best control. There are several fungicides available. Check with a Garden Pro at Grangetto’s or your local nursery for the best product to fit your growing preferences.